Today I am chatting with Steven A. McKay about his award winning book! Hello, Steven! Thank you for chatting with me today and congrats on the B.R.A.G. Medallion for your story, The Wolf and the Raven. Praise indeed! Please tell me about your book. Hi Stephanie, thank you, I’m very pleased to have been awarded TWO B.R.A.G. Medallions! This one is for the sequel to Wolf’s Head, which was the first in my Forest Lord series. 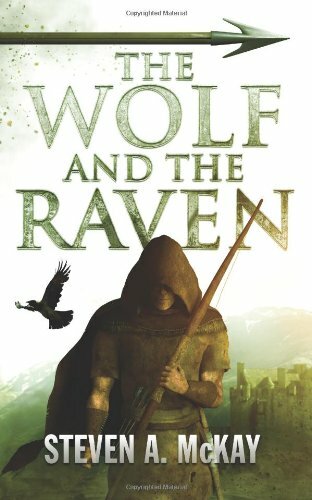 Basically, The Wolf and the Raven picks up where the first novel left off, with Robin Hood and his mates about to fight against the king’s forces in the rebellion. Added to that backdrop is the introduction of Sir Guy of Gisbourne, who’s been sent to Yorkshire to hunt down Robin and his mates. The reviews have been really positive so I’m very pleased with it. Tell me a little about Sir Guy of Gosbourne. Robin faces many dangers and he needs the support of his friends. But what is one of the challenges his friends face? There’s quite a few challenges for his friends to face – in the book I have more than one main strand running throughout the plot so guys like Friar Tuck, Will Scaflock, Sir Richard-at-Lee and his sergeant Stephen all have some pretty hard times to deal with. I particularly enjoyed writing Stephen’s arc although some readers might be surprised at the things he does. What people need to realise is just how brutal medieval times were – they certainly were much closer to death than we are today and Stephen’s story in particular reflects that. Could you please share an excerpt from your story? “It’s nothing to do with us,” Robin replied, glancing up from his log by the fire, where he sat stirring a big cauldron of pottage. Matt waved a dismissive hand and turned his back on the friar with a scowl. What is one of the differences between your stories of Robin Hood verses the other stories that have been told? Well, mine are set in the time of King Edward II and in Yorkshire rather than Nottingham. I haven’t seen ANY other Robin Hood stories that explore those areas. In general terms though, a lot of reviewers make the point that my books are quite brutal, reflecting the violent nature of the time period, rather than the syrupy romantic style that the likes of the old Disney or Errol Flynn movies played up. It’s not all blood and thunder, but hopefully my Robin is more realistic than previous versions while still being a good read. What are some of the other praises you have received about your story? A lot of people really enjoyed the characters like Sir Richard, so much so I decided to write a novella based around his time prior to The Wolf and the Raven when he was a Hospitaller Knight in Rhodes. It’s called Knight of the Cross and came out in the summer. Other than that, I’ve just received my 100th review for The Wolf and the Raven on Amazon.co.uk and they’ve been overwhelmingly positive – even more so than they were with my debut Wolf’s Head so it’s been really great. What draws you in the most about the medieval times? If here was an audience you have yet to reach out to about your books and you haven’t yet. Who would it be and what would you say to get them to read your story? I’m honestly not sure. Men and women alike seem to enjoy them and they sell well enough in various countries around the world. I suppose the hardest people to sell to might be the ones that have a particular idea in their head of what Robin Hood should be like – some people don’t enjoy their treasured myths and legends being messed with! To those people I would just ask them to give my books a try – I tried to stick as closely to the source material as possible and all the favourite characters are there – you might find you enjoy what I’ve done! Book three in the series. It’s called Rise of the Wolf and is about a third complete. Again, it carries on where the previous book left off but this one is going to bring about some serious changes for the characters so I hope I can do them justice and meet the expectations of everyone who enjoyed the other novels. You can get all of the books in various formats: paperback from Amazon or Barnes & Noble, Kindle version from Amazon and audiobook from Amazon, Audible or iTunes. I really loved listening to the audio versions, my narrator, Nick Ellsworth did a fantastic job! If you have an Audible membership, give them a try! Thank you Stephanie for having me again, and thanks to everyone who supports Indie B.R.A.G.! 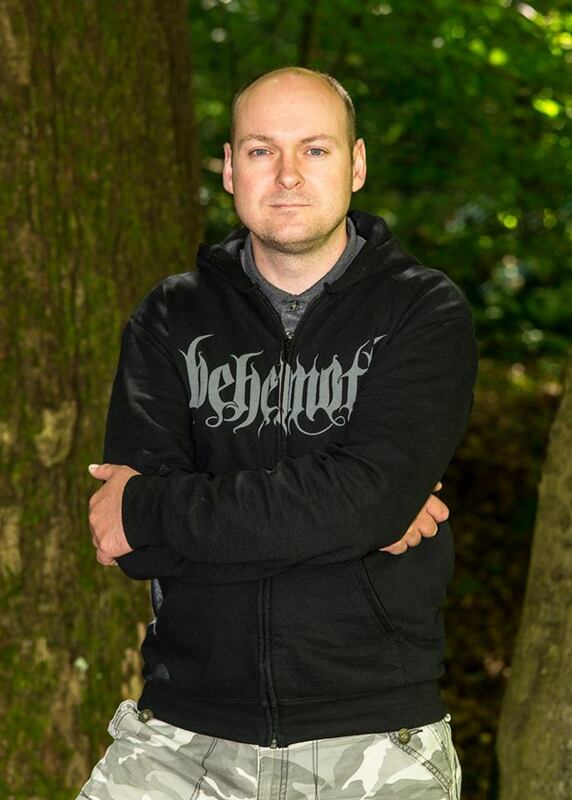 We are delighted that Stephanie has chosen to interview Steven A. McKay, who is the author of, The Wolf and the Raven, our medallion honorees at indieBRAG . To be awarded a B.R.A.G. Medallion TM, a book must receive unanimous approval by a group of our readers. It is a daunting hurdle and it serves to reaffirm that a book such as, The Wolf and the Raven, merits the investment of a reader’s time and money.